Client Passerinvest Group & BB C – Building Omega A.S. 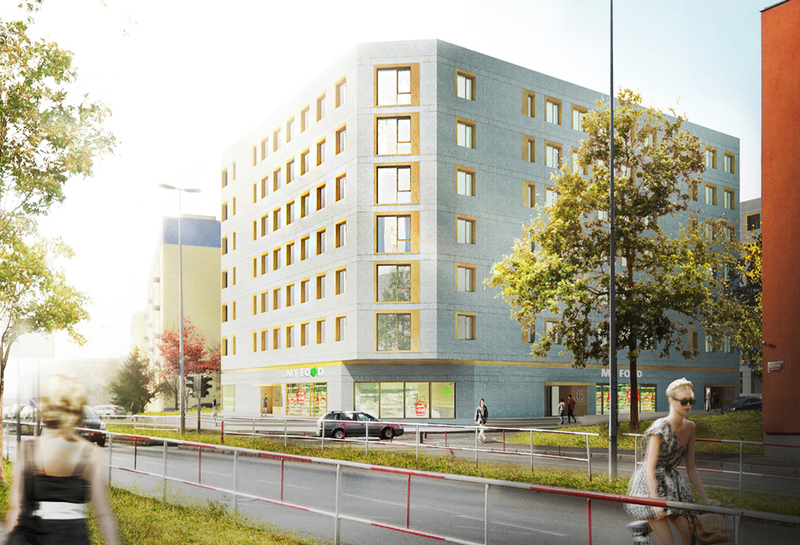 The project takes place in a strategic localization of the overall masterplan of the BB Centrum complex. 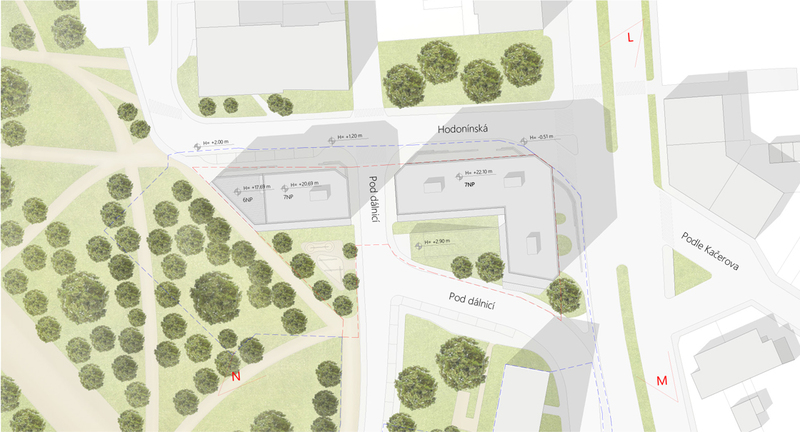 In between the future extension of Bruklovka Park and the street Michelska, the context impose a strong urban aspect on the north east border and in the same time a generous and domestical aspect facing the Park. We’ve imagined a project that fits with this specific context. First, we have aligned the buildings with the streets Michelská and Hodonínská. 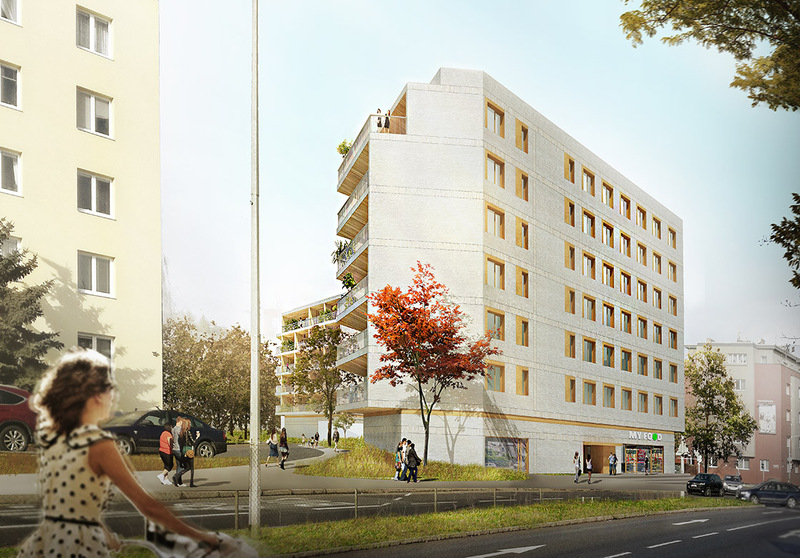 The project is divided in two buildings, a seven level corner building facing the urban context and a lower 5 to 6 store’s building next to the park that diminishes the dimension of the project as we get closer to the park. The ground floor is a series of levels with an elegant complexity that allows an integration of a high quality public space.